TCGPWA is the 2nd oldest Pride organization in the Great State of Texas and produces the largest LGBT Community attended events in Tarrant County. 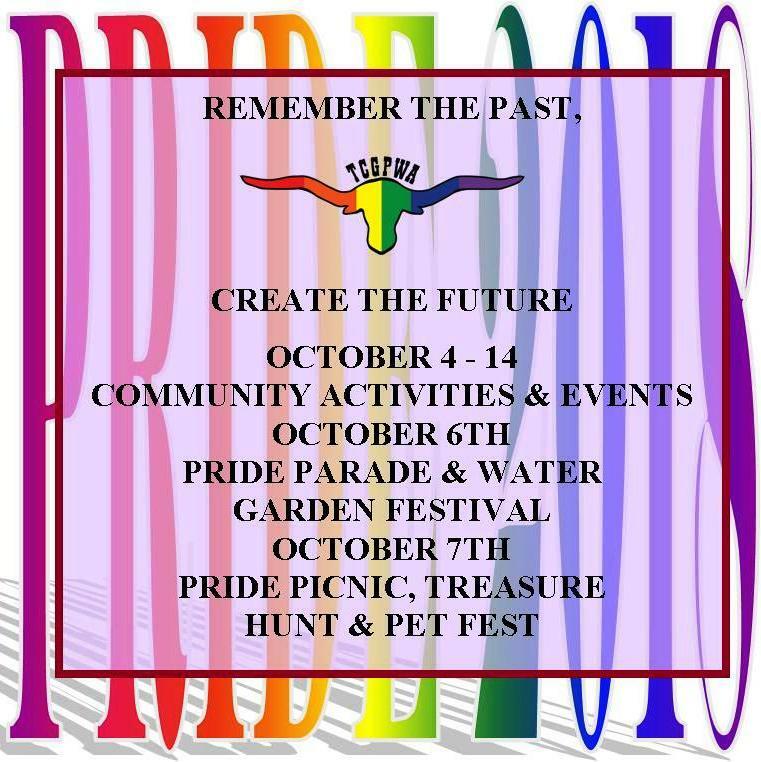 Pride Week is held in October but, there are also Pride events and activities throughout the year for the LGBT & At Large Communities, supporters and visitors to Fort Worth. Established in 1981, Tarrant County Gay Pride Week Association is organized to produce and facilitate a family friendly, safe environment. “Pride” celebrations and events are to promote a positive image for the community regarding LGBT individuals. As well as educate and celebrate the diversity of the LGBT Community of Tarrant County, its Families, Friends, and Supporters. Pride 2017 celebrates: “Live Life Bold” as we welcome folks to Fort Worth and Tarrant County for the largest LGBT attended events and activities. The annual souvenir booklet promises to be the go-to guide for all things Pride. That means for your business, organization, cause or event, this year’s souvenir booklet is certain to be the best, most visible platform to reach the lucrative LGBT market. A proven advertising suggestion: Coupons for discounts, free items or drawings are a great way to utilize your ad space. It can generate traffic to your business or vendor location. Want to reach the GLBT market? Advertise in the 2015 Pride Guide and QCinema 15 Souvenir Program.